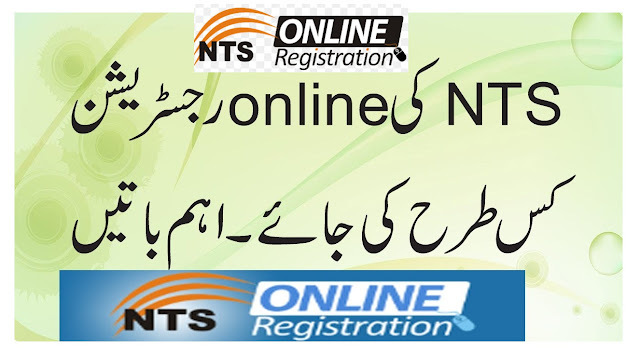 NTS Online Application Process with full Details : How you can Find jobs from NTS website and Download Job Application Form: All Guidelines which help to you during online NTS Apply for any NTS job. There are 10 Steps about How to Online Registration for any NTS jobs Application Form, Please read all following Steps carefully ! NTS Step# 1. Open the official NTS website in your any web browser. NTS Step# 2. Open the UPCOMING TESTS. NTS Step# 3. Select the job in which you want to apply. NTS Step# 4. There will be the options for download the jobs advertisement and download job application form. NTS Step# 5. Download and view the jobs advertisement and read carefully that your qualification and experience must be match with the given criteria. NTS Step# 6. If your qualification and experience related with the jobs criteria than download the job application form in PDF format, take a printed photo copy from your personal printer OR from any Photoshop. NTS Step# 7. The challan form will also be attached with the Job Application form which you have downloaded already. NTS Step# 8. The challan form distributed in three parts first part is the NTS copy second part is the Bank copy and third part is the Candidate copy. NTS Step# 9. After fill the challan form properly you should be submitted fee into the bank, after collection the fee the banker will keep one copy, and 2 others will return you. NTS Step# 10. After deposit fee you should fill your job application form properly, and attach with job application form all the required attested documents and NTS challan copy. At last you should be send that application form with all documents on the given address before the last date through any courier Service. NOTE: If you have any problem or question about NTS Online Registration , you can ask in comment Box , Thanks !